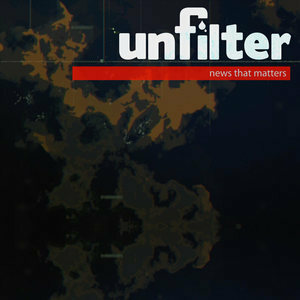 It’s a special edition of Unfilter about the current state of the war in Syria. Experts Aghast At Russian Claim Of Nuclear-Powered Missile With Unlimited Range : Parallels : NPR — In his annual state of the nation address on Thursday, Russian President Vladimir Putin unveiled a nuclear-powered, nuclear-armed cruise missile that he claimed could fly indefinitely and deliver a warhead to any point on the earth's surface. Pompeo Admits America's Already Killed "A Couple Hundred" Russians In Syria | Zero Hedge — The episode reportedly took place on Feb. 7 and Feb. 8, when Russian mercenaries mounted an attack using tanks and artillery in an apparent attempt to take an oil-rich area in the eastern Syria province of Deir Ezzour. Fighters from the Syrian Democratic Forces, organized by the U.S. to fight Islamic State, came under fire and American air power was called in. Trump, allies praise Syria strikes as Moscow seethes — "I spoke to the president this morning and he said: 'If the Syrian regime uses this poisonous gas again, the United States is locked and loaded,'" Haley said at emergency Security Council talks. Bolton, key Trump adviser, has evolved his views on Syria | McClatchy Washington Bureau — “Ultimately, he views the Syrian crisis through the lens of Iran and Iran’s potential dominance in the region,” said Mark Groombridge, a former Bolton aide at the State Department whom he brought as an adviser in 2005 when he became ambassador. Russia warns of 'consequences' for US-led strike on Syria — Russia's ambassador to the U.S. warned there would be "consequences" for the strike on Syria, and that a "pre-designed scenario" was underway. China: "The Arrogant US Has A Record Of Launching Wars On Deceptive Grounds" | Zero Hedge — China was the first superpower outside those directly involved to slam the US airstrikes: "Any unilateral military action violates the United Nations charter and its principles and international law and its principles. [The strikes] are also going to add more factors to complicate the resolution of the Syrian crisis," Chinese foreign ministry spokeswoman Hua Chunying said in a statement on Saturday afternoon. Former head of Britain's special forces says Assad 'doesn't need to use gas' | Daily Mail Online — A former head of Britain's Special Forces has challenged Theresa May's claim that President Assad was behind the chemical attack in Douma. North and South Korea reportedly set to announce official end to war — Pyongyang and Seoul have technically been at war since the 1950-1953 Korean conflict ended with a truce — and not a peace treaty.